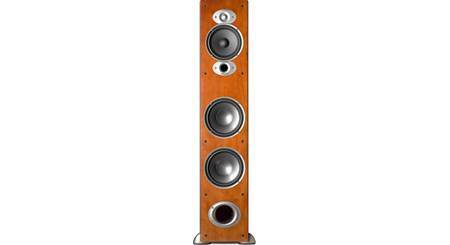 Our customers love the A9 — the flagship floor-standing speaker in Polk's popular RTi series. 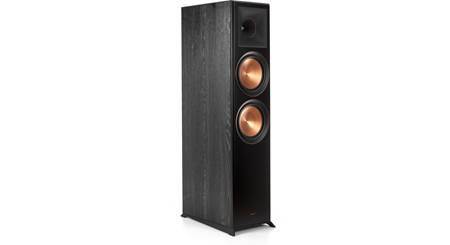 Our customers love the A9 — the flagship floor-standing speaker in Polk's popular RTi series. It combines a handsome, real wood veneer finish with the kind of performance that pleases even critical listeners. This speaker's carefully designed drivers undergo laser testing to help identify and eliminate resonance points, ensuring smooth, accurate response. Its asymmetric cabinet helps it deliver rich, clear sound by combating vibration and increasing rigidity. The A9 also includes Polk's exclusive PowerPort® technology that reduces noisy air turbulence and increases low-frequency output. You'll enjoy clear highs, rich bass, and open, natural-sounding midrange. Two sets of gold-plated five-way binding posts let you biamp or biwire the RTi A9 for the best possible sound. An anti-diffraction grille helps it deliver a large, three-dimensional soundstage with pinpoint-accurate stereo imaging. 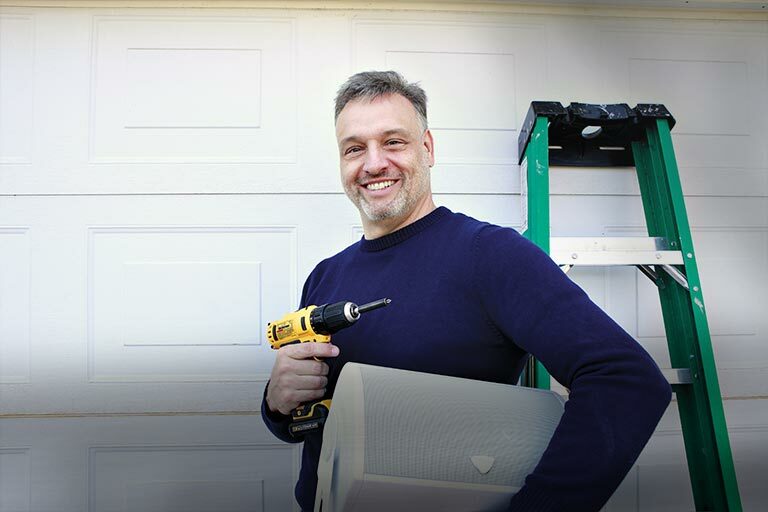 Adjustable spikes provide stability on both carpeted and hardwood floors. 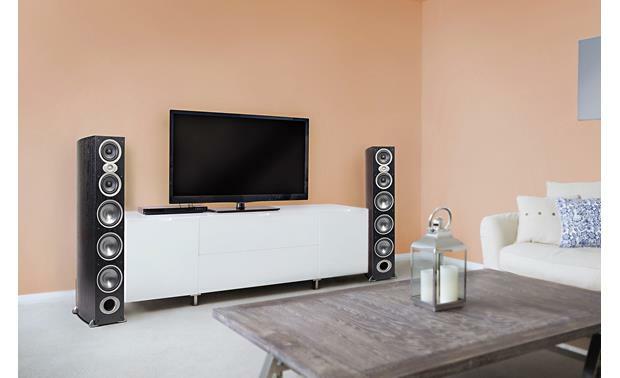 For best performance, pair the RTi A9 towers with our recommended center channel speaker: Polk CSi A6 and surround speakers: Polk RTi A3 or FXi A6. Polk Audio is the best! These speakers rock, but the sound is great at low volumes too! Do I need a subwoofer with these speakers? I would highly recommend it. Maybe 2. That's what the 2 in 11.2 means. Why spend that kind of money on the receiver if you don't use its features? Polymer Composite Woofers: The speaker features three 7" polymer composite woofers. Three 7" woofers have the surface area of a single large woofer with the low mass and acceleration of small woofers, resulting in tighter, more accurate bass response. Each woofer uses a butyl rubber surround. Polymer Composite Midranges: The speaker has two 5-1/4" polymer composite midranges for smooth wide-range response with low distortion. For high performance durability, each midrange uses a butyl rubber surround. Silk/Polymer Tweeter: The speaker has a single 1" silk/polymer dome tweeter that provides clear, detailed highs. The tweeter features mylar bypass capacitors in the crossovers to extend high frequency response and improve detail and transparency. The tweeter also features low viscosity ferro-fluid cooling with a heat sink on the Neodymium magnet for superior heat dissipation, power handling and reliability. Power Port Venting System: The speaker has a rear-firing Power Port venting system built into its back plate for precise deep bass response from the floor-standing speaker's three 7" polymer composite woofers. This venting system allows air velocity to slow gradually, vastly reducing air turbulence, and delivering greater bass efficiency than conventional ports. Note: The two 5-1/4" midrange drivers feature a sealed cabinet. Frequency Response: The overall frequency response is 18Hz-27kHz and the -3dB frequency response is 30-26kHz. 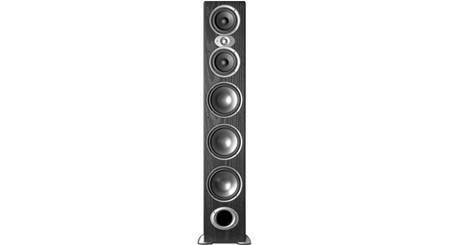 Width: The main body of the speaker is 8.6875" wide but the speakers attached feet extend beyond each side of the speaker, giving the speaker and overall width of 10.6875". What 11.2 receiver would I need to purchase to power these? There are a lot of brands and models that would work. I'm a Denon fan myself. Figure out what you need. You might not need an 11.2. Maybe a 9.2. Save a lot of money. 11.2 is the most expensive. Spend the money on quality cables and connectors. You will be glad you did.thanx! If you're using this speaker for music 75% or more of the time, then no. If you're watching a fair number of movies, then I'd look for a sub with at least a 10 inch subwoofer. That depends on how mauch bass you want. These speakers are very powerfull and have great Bass without losing the clarity. I feel when I'm watching a movie with surround sound, these speakers need a bass. But when your listening to music the bass these speakers have is enough. I don't think so. I listen to 70's and 80's rock, Pink Floyd, Zeppelin, etc. I also listen to more modern stuff like Saving Able, Theory of a Deadman, Hinder etc. and the bass is plenty for me. The vocals are incredible from these speakers. I'm using an older Yamaha HTR-5890 with the "B" speaker output bi-amping the woofers. I know, it's not a true bi-amp, but it sounds awesome! Mark, I listen to Jazz and to classic 60-80 Rock. I do have a sealed Velodyne sub from my Magneplanar days but I find I rarely use it with the A9's. I power them with a pair of 250 watt mono blocks and they sound great. These are full range speakers, so you don't have to have one. 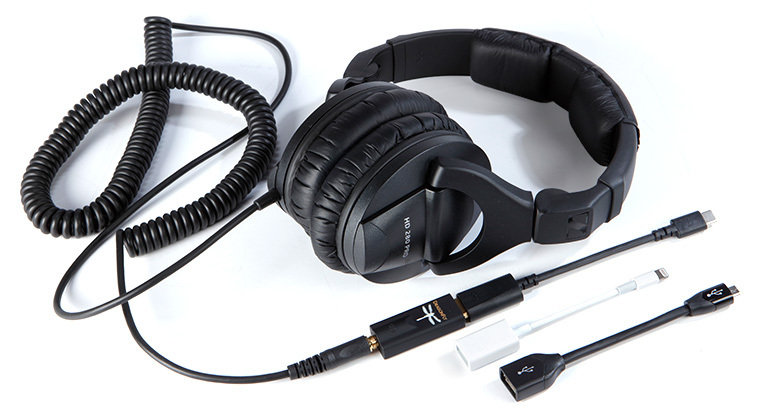 I have these, but also use a subwoofer for theater sound. These are awesome speakers tho. two 5-1/4" Dynamic Balance polymer composite midrange drivers are these 8 ohm too? three 7" Dynamic Balance polymer composite woofers are these 8 ohm? Yes, they are all 8 ohm. You will love these speakers! They sound incredible! Thanks for your question. You can find a great article on bi-amping here: http://www.crutchfield.com/learn/blogs/av_tips/archive/2008/04/23/are-you-sitting-on-a-wealth-of-untapped-power.aspx As for selecting a receiver, I would recommend contacting an Advisor by phone or online chat to see which ones may work best for you. what is the recommended room size for the polk rti a9? Or at what point is a room too small for them? We do have the Polk Audio HTS10 (Brown) powered subwoofer cataloged in our inventory database; meaning we will eventually be carrying it here. However, I'm afraid we're still waiting for Polk to give us an official ETA for when we'll have them in stock. Like Steven alluded to in his response above, Polk's website has a release date posted for "October 2017" so hopefully we'll have more info on that soon. Please feel free to check back with us periodically for any future ETA updates--you can contact an Advisor directly by phone at 888.955.6000 or online chat. Thanks! Polk's website has a tentative release date of late Octorber. My guess would be that it's hard to say what the turn around time is for Crutchfield to get it up and available on their website IF they are even going to offer it. Hope this helps. I am using an Onkyo NR1030 9.2 AVR to drive the A9s as my front speakers. 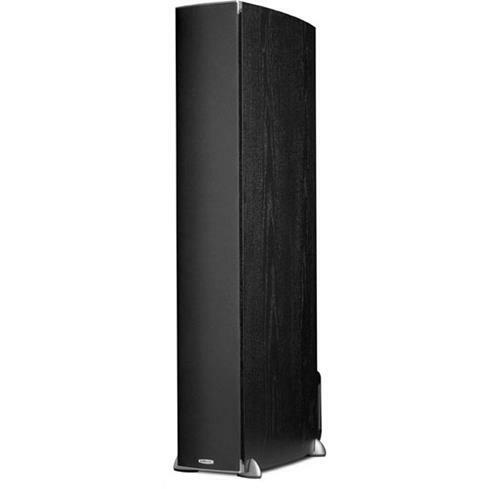 The NR1030 only offers 135 watts per channel while these RTi A9s can handle up to 500 watts. Should I drive these speakers with a supplementary power amp to get better sound? 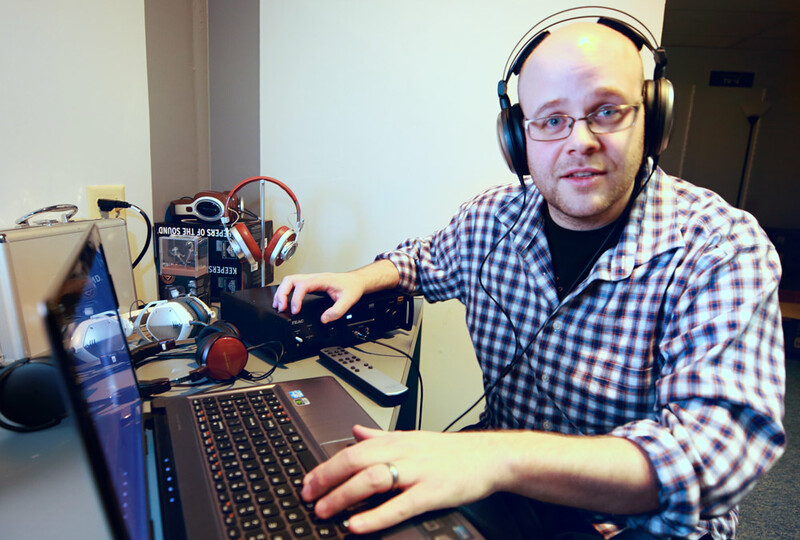 I don't necessarily need them to be louder -- I just want to make sure that I'm getting the best sound possible. To get the best sound from the A9's. They will need more power. They will sound clearer with more power. However, to achieve more power you may need to invest in a preamp and learn how to bridge or biwire amp to achieve the clarity. You can supply far more power than 500 watts to them and not hurt them. But before doing this you need to break the speakers in. ONLY IF YOU DON'T HAVE A SEPARATE SUB WOFER. THE MORE POWERFUL AMP WILL GIVE YOU MORE BASS. I RUN A DENON 150 WATT PER CHANNEL SYSTEM AND IT PUTS OUT EXCELLENT SOUND. Has anyone paired the RTi A9's with a Yamaha A-S2100 Integrated Amp? RTi A7"s? If so, did either work well? I will not be able to answer that question because I have them paired with a Marantz. Searches related to the Polk Audio RTi A9 Floor-standing speaker.